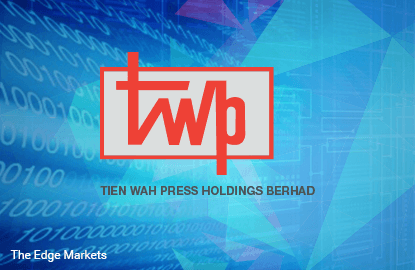 Shares of Tien Wah (Fundamental: 1.8/3, Valuation: 2.6/3) continued to surge, following announcement of a stellar set of earnings results last Wednesday. 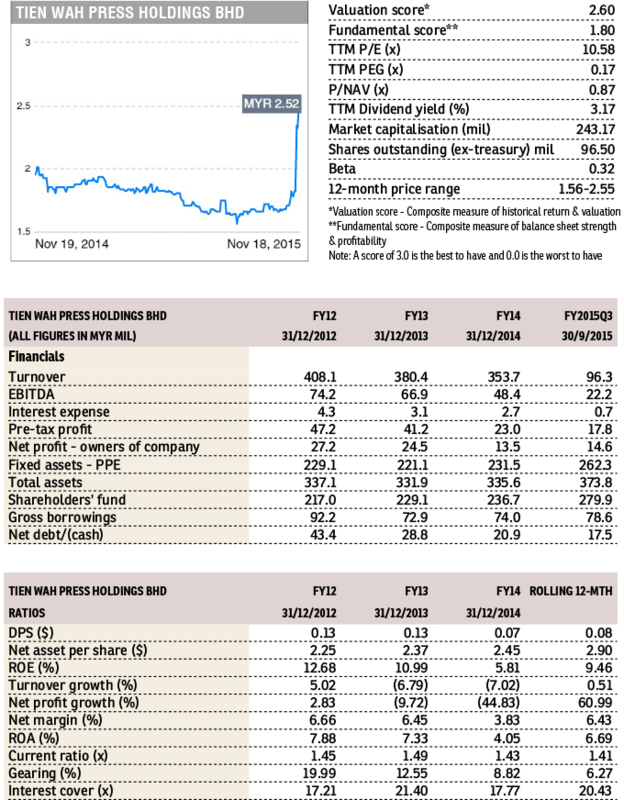 The stock has since risen by 47.8% to close at RM2.69 yesterday. For 9M2015, net profit expanded an outsized 74.1% y-y to RM22.2 million, due to higher contribution from an associate and lower depreciation charge. Revenue, however, grew by only 1.3% to RM270.3 million, on increased sales from a major customer and the stronger USD. Note that, in 3Q2015, Tien Wah extended the residual useful life of certain plant and machineries by another 8-15 years. The revision resulted in depreciation savings of RM3.2 million in 3Q2015, of which RM2.1 million relates to adjustments from 1H2015. Tien Wah is primarily engaged in the printing services for tobacco packaging and cigarette filters. Export, mainly to Singapore (52.5%) and Australasia (24.8%), accounted for 81.2% of its revenue in 2014, with the remainder 18.8% derived from domestic market.